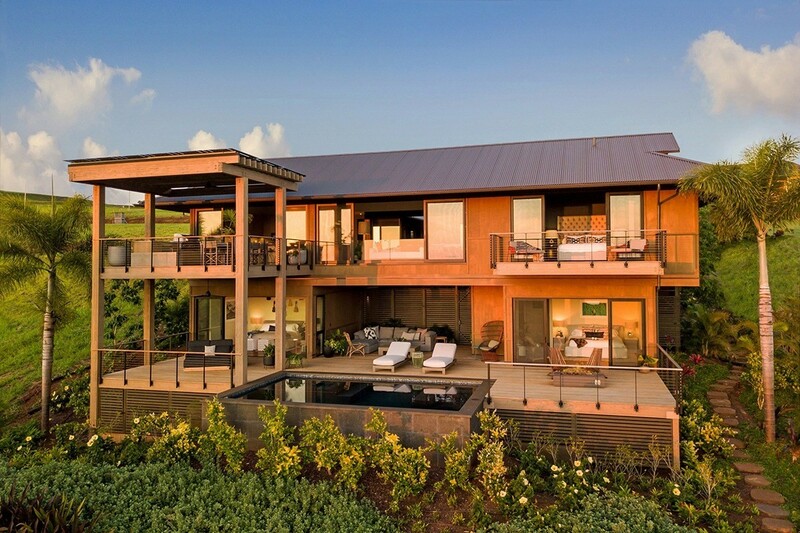 Kukui`ula - Hale Nanea - "The Home that Balances Intrigue & Relaxation"
Hale Nanea is a series of pavilions lightly and gracefully suspended between Makai (ocean) and Mauka (mountain). 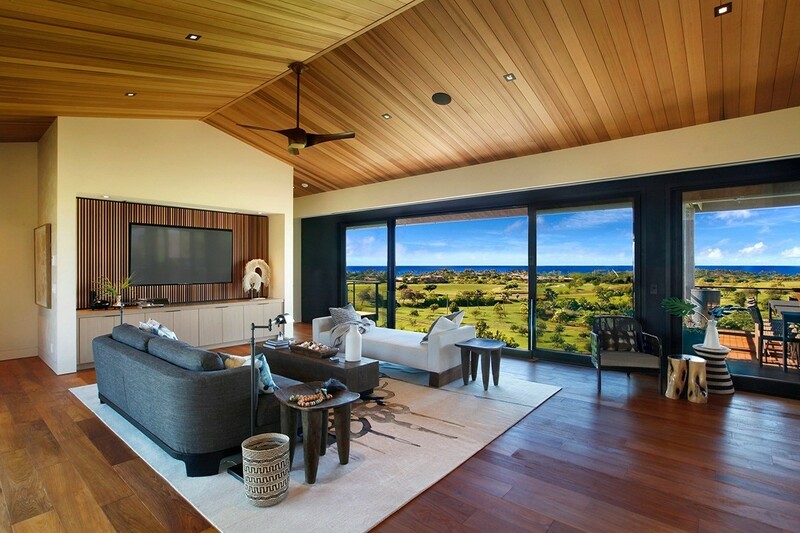 Private and elevated passage entry and open spaces with sweeping views onto the Pacific offer a modern perspective on the landscape. 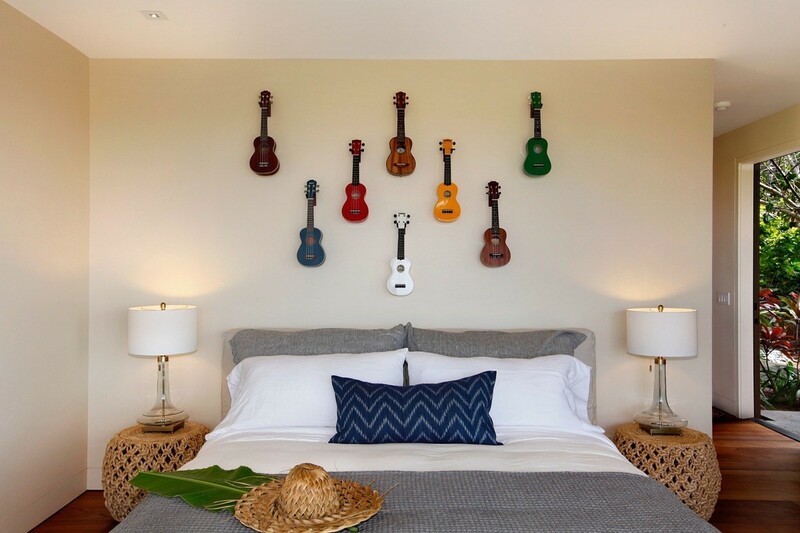 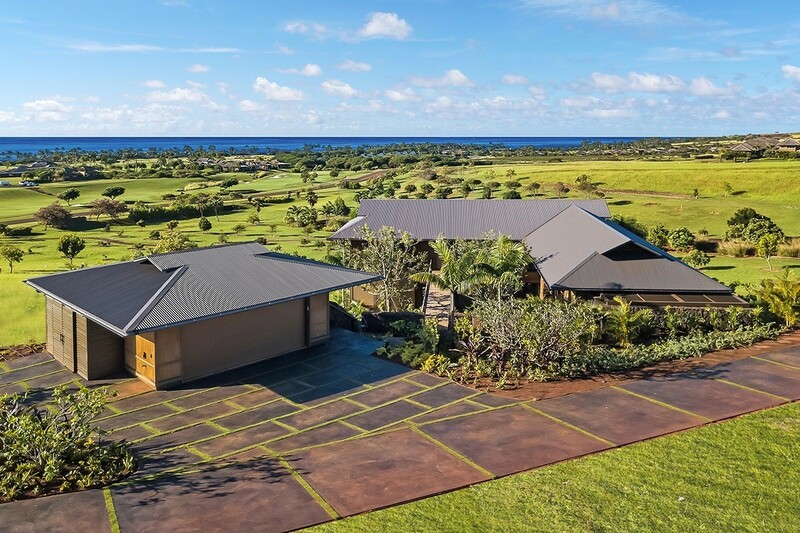 With its contemporary materials and its treatment of sun and shade,gathering spaces and indoor-outdoor ease, Hale Nanea is Hawaiian design for the way families and friends live now. 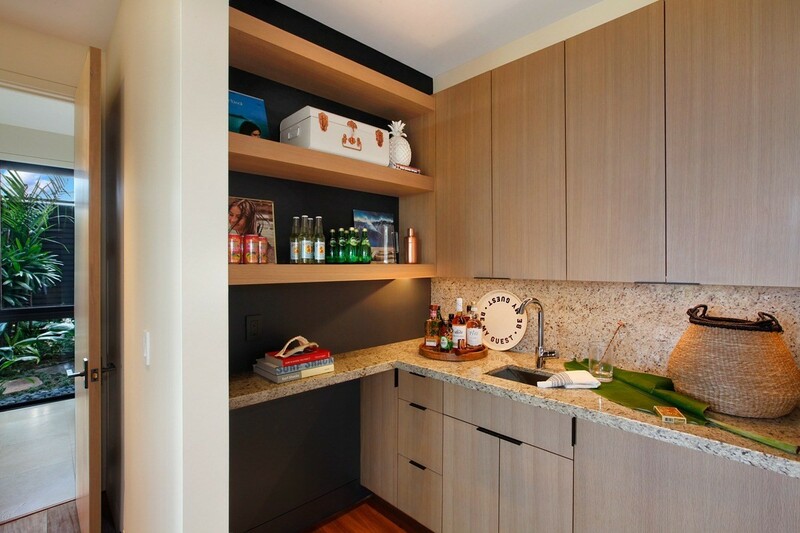 - A sleek, modern look with light oak cabinets, teak hardwood floors, and granite countertops. 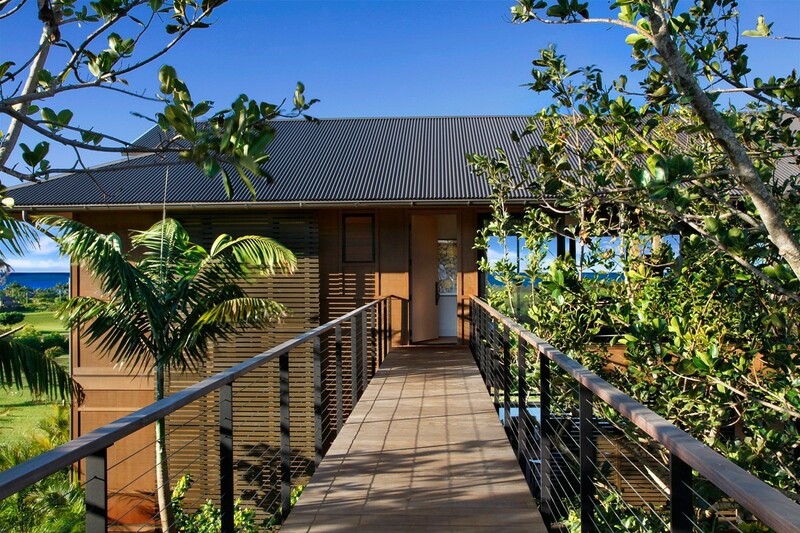 - Exterior is comprised of corrugated metal roof, cedar board and batten siding, and ipe wood decking. 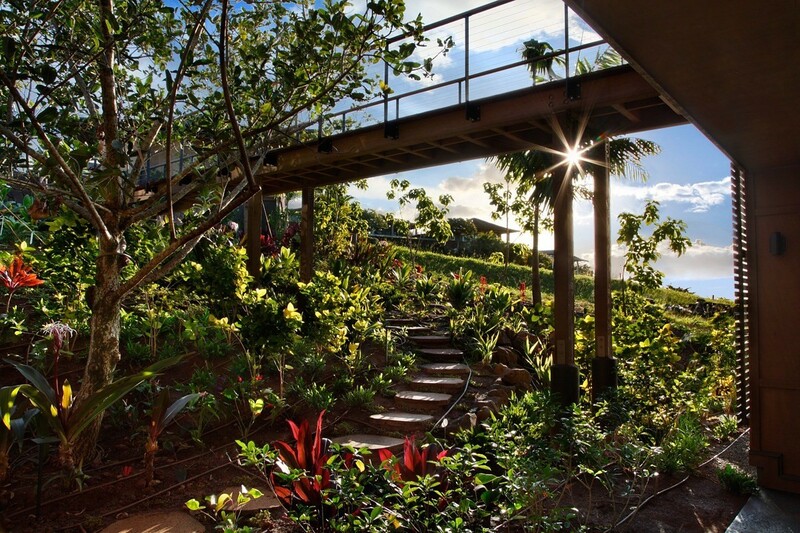 - Envisioned as a tropical tree house where you enter via a long bridge through an elevated tree canopy above and lush landscaping below. 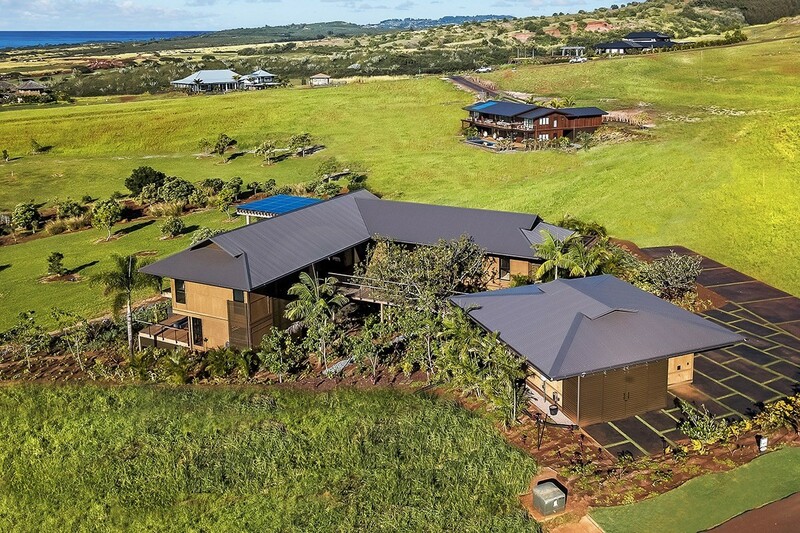 The home is built lightly upon the land, using the natural topography to create unique living and entertaining spaces. 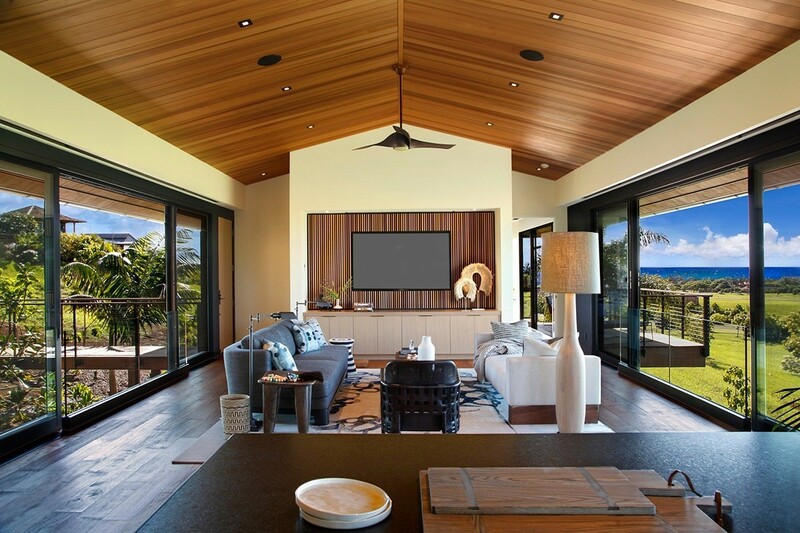 - Ideally positioned to allow for the trade winds to flow through the living room, enhanced by the vaulted ceilings. 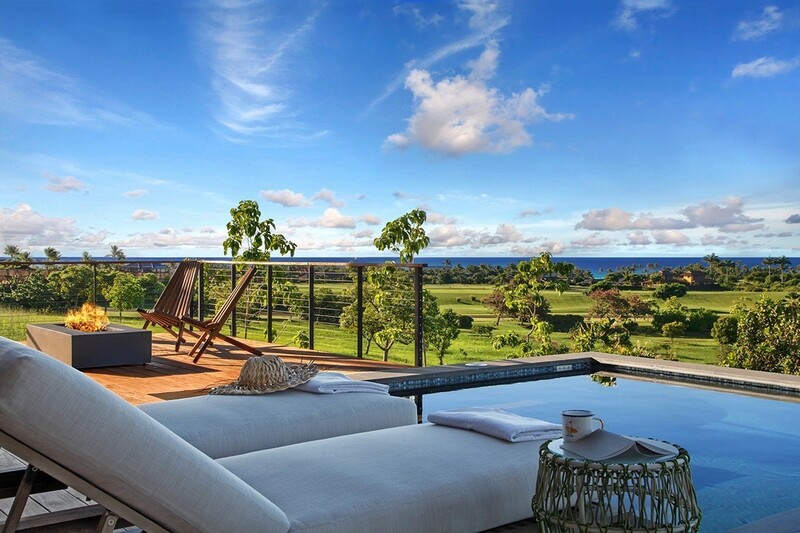 Glass railings create a seamlessly transparent indoor-outdoor living experience. 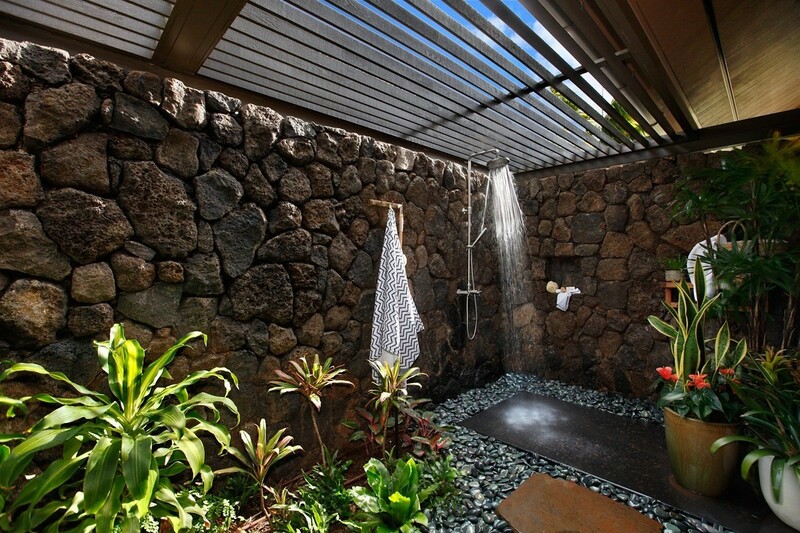 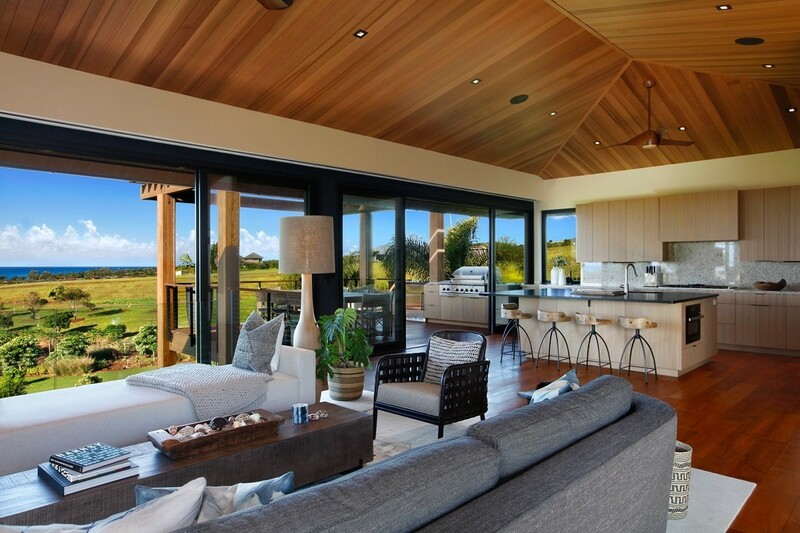 Great Hawaiian homes allow you to manage natural airflow and minimize the use of air conditioning. 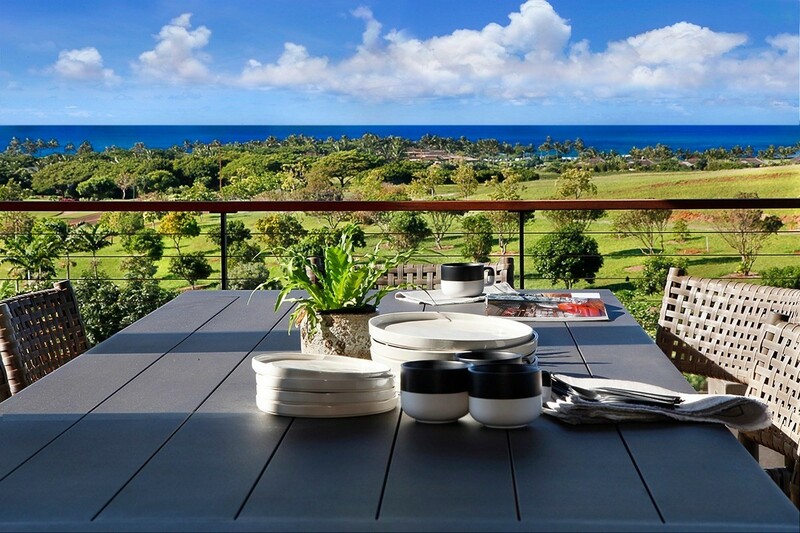 - Kitchen with large island which seats 6 people and opens up to large BBQ dining lanai which is ideal for sunset refreshments. 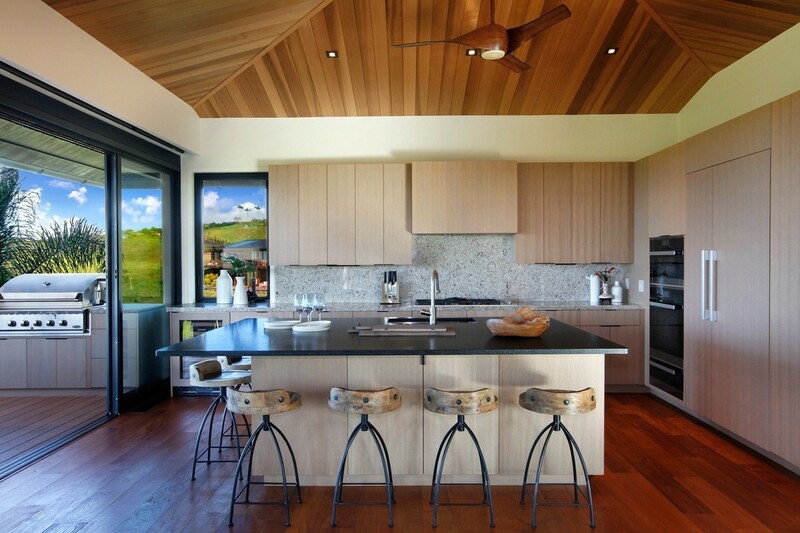 Kitchen outfitted by Miele – including convection oven, steam oven, speed oven, and wine storage. 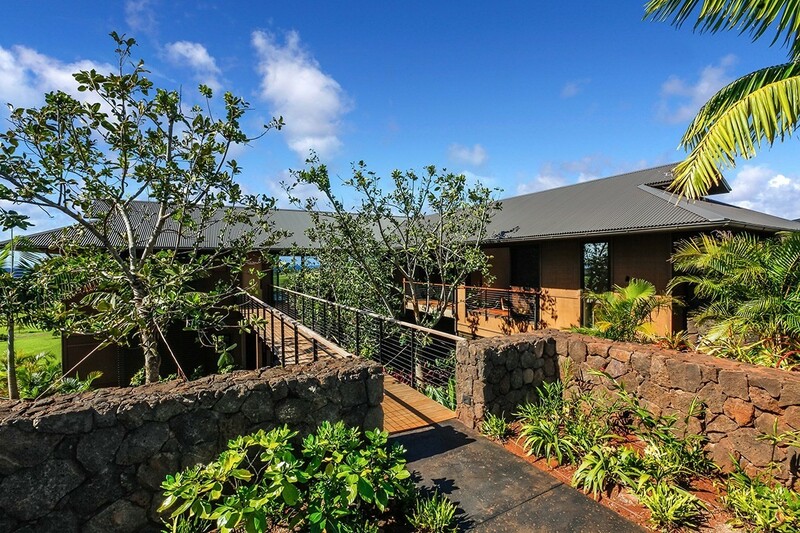 - Split bedrooms on both levels for added privacy – perfect for hosting multiple families. 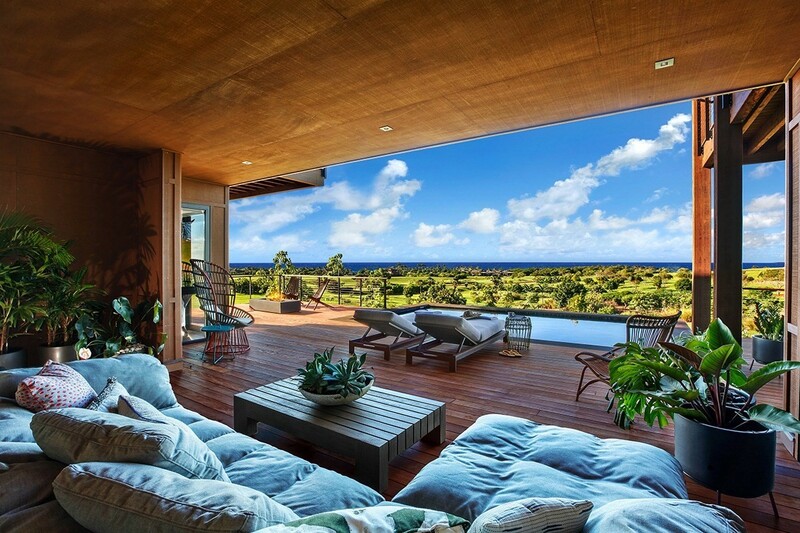 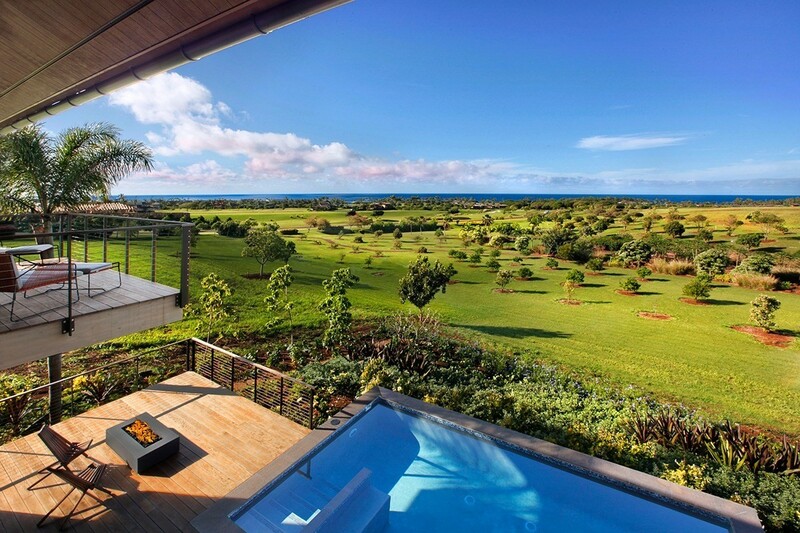 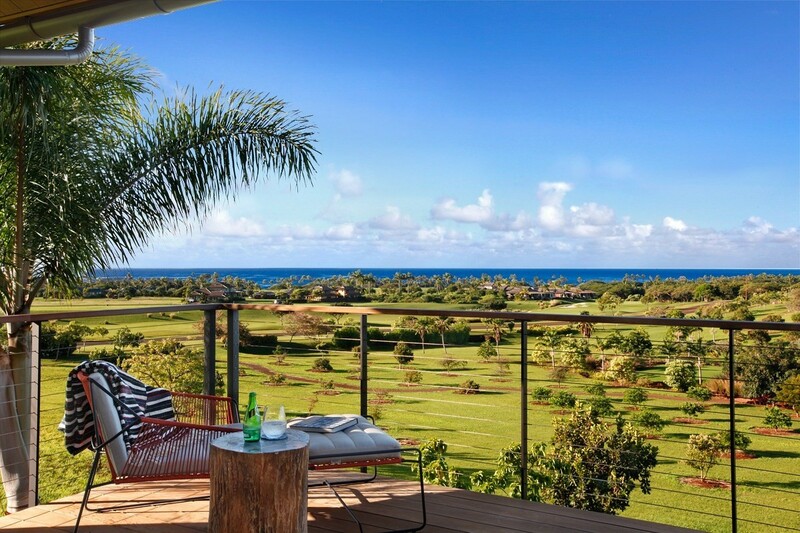 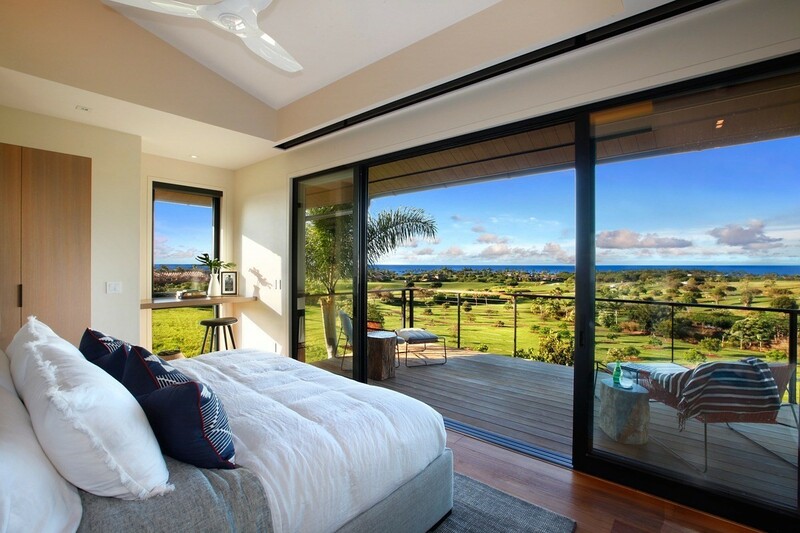 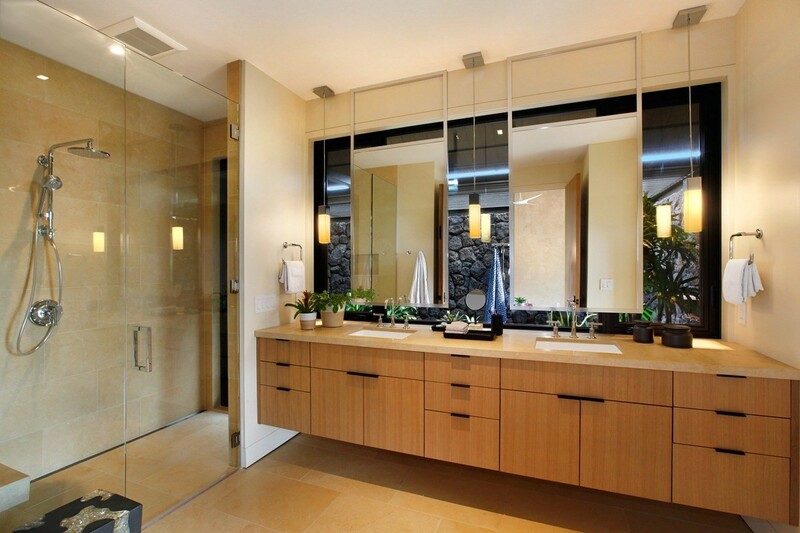 Panoramic orchard/ocean views with his/hers built in closets.